is just as good as the first. My kids fell in love with Winter and I could tell that the movie really touched them. We have always been tender towards animals – so my kids have a soft spot for them – and this movie just spoke straight to their hearts. They like to go on the website and learn more about Winter and learn more about ways they can help animals in need. 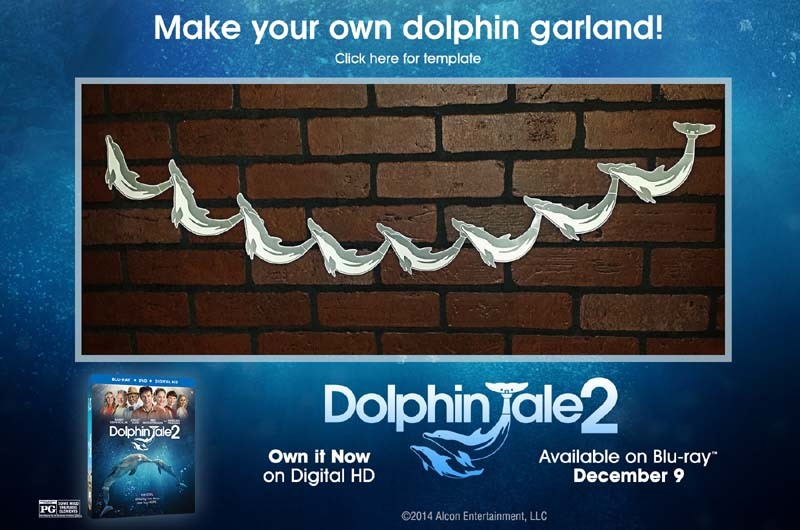 My kids love both of these movies – but Dolphin Tale 2 really made an impact on them. 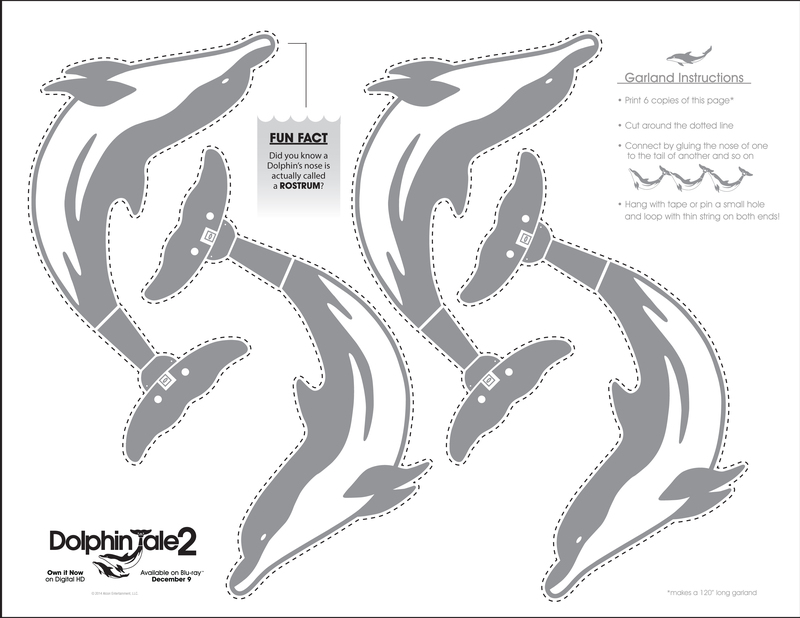 They were excited for these fun dolphin crafts from the movie. 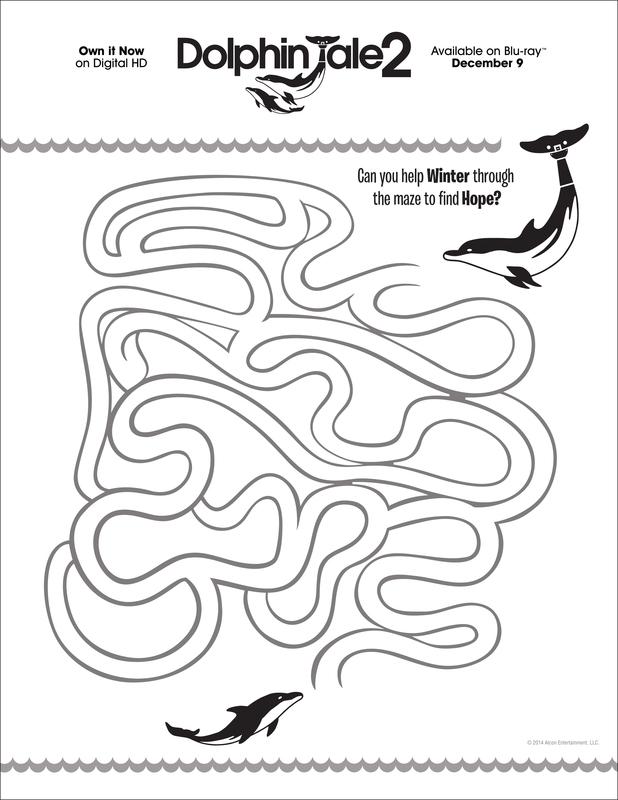 You can make your own Dolphin Garland, do mazes, puzzles and more. Just click on the images below for a larger image that you can save or print. Reprising their roles, Kristofferson plays Clay’s father, Reed; Zuehlsdorff is Clay’s teenage daughter, Hazel; Judd returns as Sawyer’s mom, Lorraine; and Stowell plays Sawyer’s cousin, Kyle. Champion surfer Bethany Hamilton, who herself has been an example of courage, appears as herself in the film. Oscar® nominees Andrew A. Kosove and Broderick Johnson (“The Blind Side”) are producing the film together with Alcon President of Worldwide Marketing, Richard Ingber, who brought the first project to the Company. Inspired by true events, “Dolphin Tale 2” is being filmed at the Clearwater Marine Aquarium, the non-profit rescue and rehabilitation facility that Winter calls home. 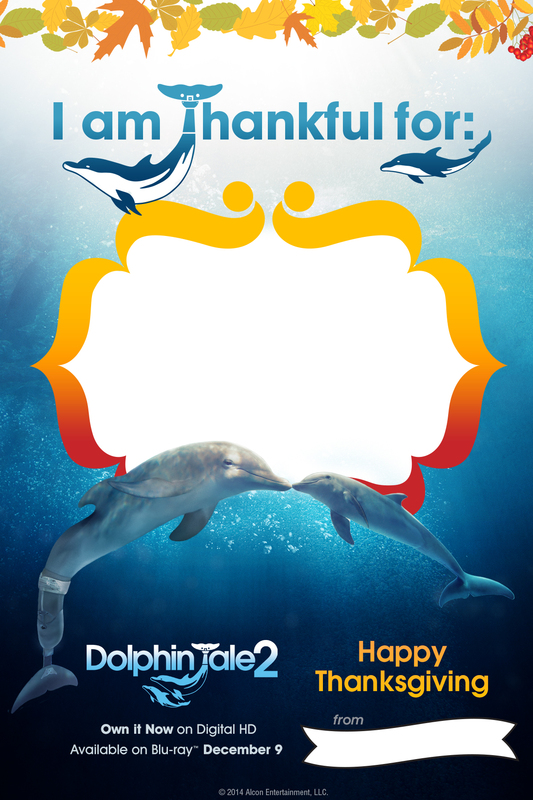 Own it now on Digital HD Or Blu-rayTM, “Dolphin Tale 2” will be distributed by Warner Bros. Pictures, a Warner Bros. Entertainment company. Be sure to enter a fun sweepstakes they are hosting to win a vacation to St. Pete/Clearwater, Florida! 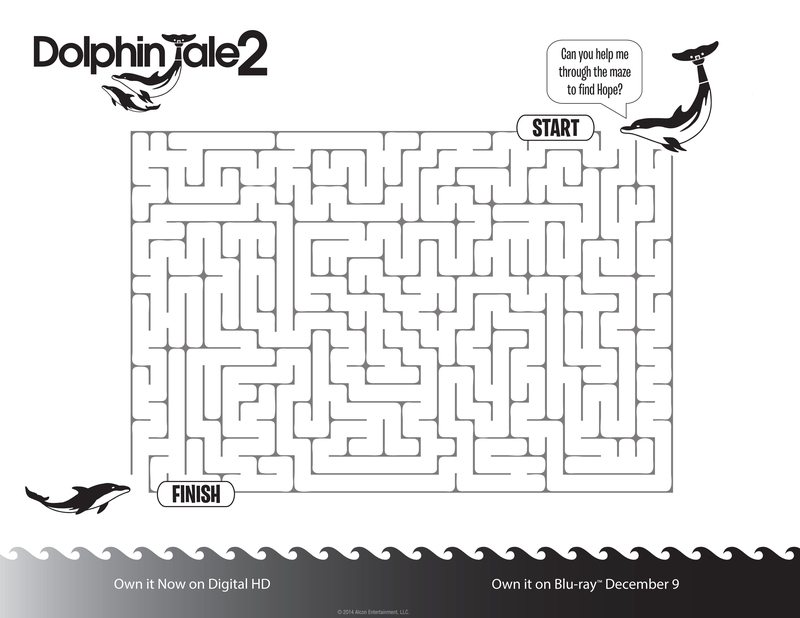 Enter at https://dolphintale2sweeps.com for your chance to win a trip to Winter’s home. We received product in order to do this review. This did not affect our opinions and they are 100% our own. We only recommend products and services that we believe will be beneficial to our readers.